The Smith Family Clinic for Genomic Medicine is the first clinic in the world opened solely to practice genomic medicine. 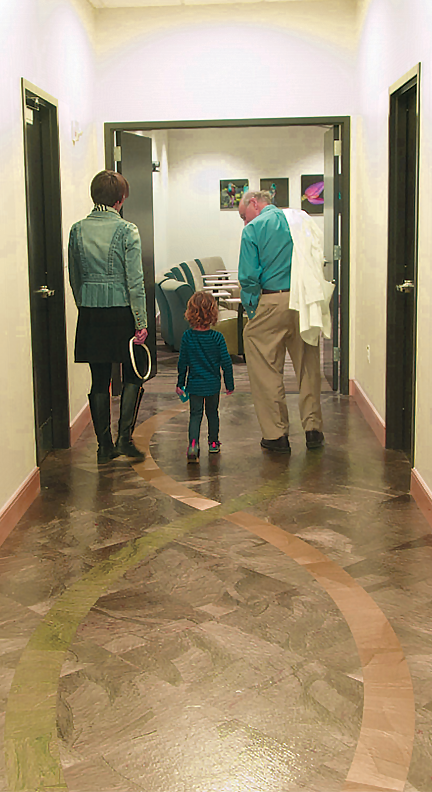 In the clinic, extra touches in design and function make patients and their families feel valued. We believe that even though their condition is undiagnosed and may not be common, it is important to find answers for them in a setting that is comfortable. • Lactation room — Some of the families who come to the clinic with their sick child already have other small children. 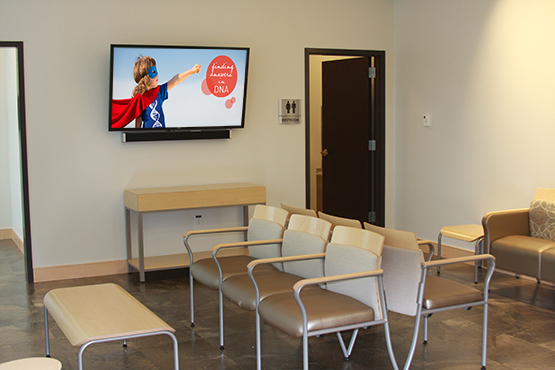 Provides privacy and a sense of welcome for everyone. • Multi-use space that can seat a large number of people and furniture that can be arranged in a variety of formats. • Space may also be used for teaching and training of healthcare providers and trainees. • A phlebotomist can be on site when needed so the patient won’t have to travel to the lab at the hospital.